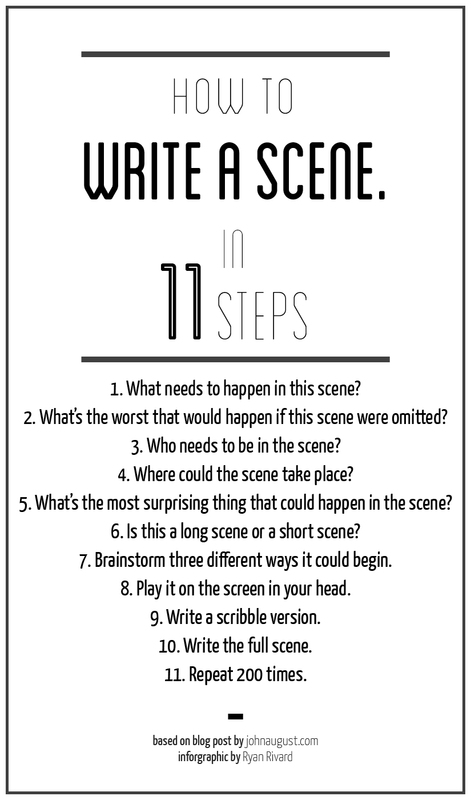 Created How to Write a Scene in 11 Steps graphic based on a post by screenwriter John August. Made the front page of Reddit with over 2,200 upvotes. Featured on /Film's Page 2. Tweeted by John August, and posted on his website. Over 1,300 likes/reblogs on Tumblr. Appeared on Media Bistro's GalleyCat. Mentioned on Scriptnotes Podcast that discusses the 11 steps in how to write a scene.